Where Should I Apply for My Passport? Where and how to apply for a U.S passport depends on how urgent you need it. This is because there are many avenues that process passport applications such as the county clerk offices, post offices, and courthouses. However, these take time to process and send it to the applicant. If you require a passport urgently because you are traveling in fourteen to thirty days, the best option is to apply through a passport agency. Is a Passport Required for a Newborn? Yes! If you are traveling with a newborn baby, you have to apply for a new passport for the baby. However, the procedures and the requirements for minors are different from adults’. To obtain the passport, you will require to provide proof that the child belongs to you using a birth certificate, Social Security card, and a photo ID. My Child is 16 Years old. Should she apply for Adult or Child Passport? For a 16-year old, the policies require her to apply for an adult passport which comes with an added advantage as it’s valid for 10 years while a child’s passport is valid for only 5 years. To process the passport, she must bring a photo ID or photocopy and proof of U.S residency or citizenship. In addition, she must be accompanied by her parent or provide proof of parental consent inform of writing. Do I need a Passport to Travel to Canada and Mexico? You will require a passport if you are travelling to Canada and Mexico by plane, ship, or road. 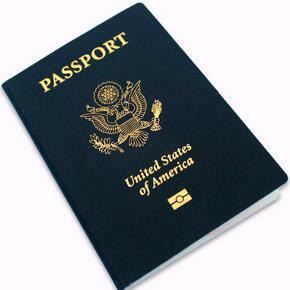 If you travel by plane, you will need a passport book which is different from a passport card. A passport card is only valid if you are traveling by car. The information required to apply for a U.S passport varies with the kind of services that you want. When applying for a new passport, the requirements are different from when you want to renew, and also differ in case you are replacing a lost or stolen passport.